HL specializes in bringing together multiple packaging components into a finalized system that is ready to load your products. We give you wide flexibility of substrates and use our extensive group of manufacturing resources to produce parts we cannot make in-house. At times clients will also ask our help to source the products that go into the packaging. In these cases we are able to provide all components and assemble the complete product at our plant. To help our clients manage their inventory levels, HL Group provides our own warehouse storage in China to release your products on a varied timeline. 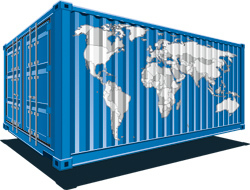 Allow us to efficiently containerize your shipments and arrange the safe shipment of your product to destinations in China and across the world. Our staff is highly qualified to respond to any shipping or logistic needs.